Bali is one of the most popular centers of tourism in Indonesia. Its magnificent preserved culture alongside its natural beauty has attracted millions of tourists to visit this eastern island of Indonesia. The ambience of vacation never gets old in Bali wherever you go. The whole thing about this tourism island started in Kuta District in Badung Regency. A long time ago, Kuta was a fishing village and now has developed into a major tourist destination. Located in the southern part of Bali Island, Kuta now is famous for its beach, resorts, nightlife and other bunches of attractions. Here’s some to-do list for a first-timer in Kuta. 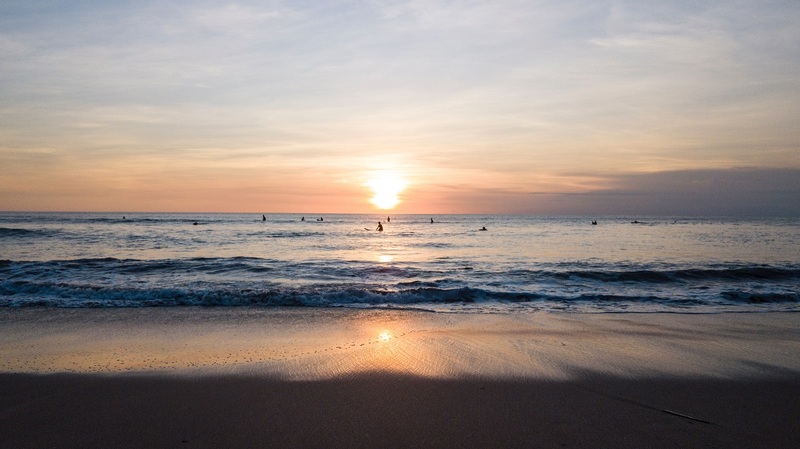 Nothing beats Kuta Beach as the most popular destination in Kuta. Its white and long sandy beach and great waves attract surfers all around the world. The waves are suitable for beginners and intermediate surfers. Relish in the view of coconut trees along the coastline, and on the evening get yourself the best scenic sunset. The beach is busy with tourists, locals, and vendors. Another spot you can’t miss during your trip to Kuta is Legian Beach. Located minutes away from Kuta Beach, Legian is less crowded. It provides a calmer ambience and perfect to relax from the crowded Kuta Beach. Those who travel with family and friends can enjoy a day out at Waterboom Bali. Waterboom is a premier waterpark in Bali full of playful games, rides and slides. This waterpark includes vast tropical gardens, pools, and a bunch of leisure facilities. The slides choices range from mini to large scale to pump your adrenalin. Among the thrilling rides are Constrictor, Python and Twin Racers. Constrictor is a 250 m tube slide which sends riders through the tree canopy. Python is a life-raft style tube fitting 4 people with surprises mid-way. Twin Racers enable you to race with your buddies in a unique mat ride being launched into the closed spiral tube. Those who seek more laid-back rides can enjoy the Lazy River with your partner. The kids will also be entertained at Funtastic, a section at the park for kids with pools and slides built for them. Located right in front of Kuta Beach is Beachwalk Shopping Center and is one of the newest places in Kuta. You will easily find international branded stalls, restaurants, cafes as well as a food court. Those who seek to learn Indonesian textile will be spoiled with a gallery on the upper floor, handicraft store. A cinema is also available inside the mall. After walking in the mall for hours and do shopping spree with your friends and family, you can also relax in a beautiful garden complete with a fish pool. If you stay at Sheraton Bali Kuta, you get privileged access to the mall. If you are looking for a more artsy store though, you may want to visit Kuta Art Market or Pasar Seni Desa Adat in Bakungsari (one-way throughfare near Kuta Sidewalk). Different shop houses and stalls are selling various crafts and arts. Bali surfboards, Bali T-shirts, key chains, sandals, sarongs and fabrics are available here. Kuta has also been famous for its exciting nightlife. Kuta and Legian streets are a must-visit if you’re a nightlife enthusiast. Discotheque, bars, pubs, and clubs are scattered around the area with various themes and ambience. DJs and bands are always playing non-stop lighted by lasers. Bounty Discotheque, Hard Rock Café, Paddy’s Pub are only few. The places open from evening to 3 or 4 am. After a long day at the beach and hard-partying night, you can’t afford not to relax at one of the spa joints in Bali. The spa joints ranging from affordable to exclusive parlors. Choose your own treatment from traditional Balinese massage, manicure and pedicure, body scrubs and hair treatment. When you visit Kuta, don’t miss the rewarding experience with The Bali Sea Turtle Society. It is a conservation group working hard to protect turtles in Bali. Proclaimed as the responsible turtle hatchers in Bali, you are certainly welcome to join the group to release your baby turtle. First off you need to donate to the society before you can release one into the ocean. The release shall take place between April to October. visit tripcetera.com to get your best deals in Kuta!